"War on Enviornment" | An look at the environmental impact of the U.S. "War on Terror"
An look at the environmental impact of the U.S. "War on Terror"
On September 11, 2001 two planes flew into the World Trade Center in New York city- a act of terrorism that helped entice the global “war on terror” against extremist groups in the middle east. While the events pertaining the war on terror have had immeasurable human and sociological effects, they have also had a significant, albeit a lesser emphasized, impact on the environment. The name “war on terror” is misleading in the sense that there is a single war against a single enemy. The truth of the matter is that the war on terror has taken the global stage with multiple different countries and regimes. The destruction on all levels has been horrifying. For simplicity, however, I am going to focus on the post-war environmental status of Afghanistan. Since the Soviet Occupation of Afghanistan in the late 1970’s, Afghanistan’s environment had been depleted and exhausted- changing the once lush and green country into an arid desert-like land. 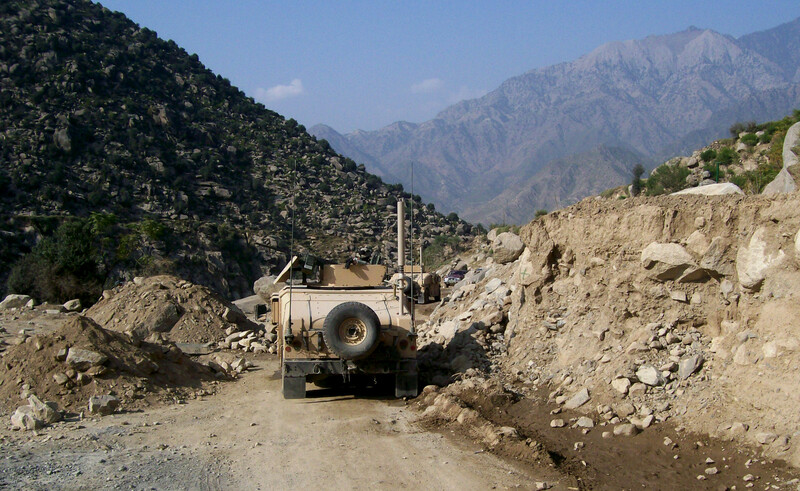 After the U.S., and its allies, waged war against the then Taliban controlled Afgan government in 2001, Afghanistan’s natural resources were strained even further- possibly to the point of no return. The aftermath of the war on terror has led to urban issues like severely contaminated public water and birth defects caused by exposure to by-products in bombs. As a result of these unsafe living conditions, the number of refugees (who are moving out of the cities) have increased- causing massive deforestation, soil erosion, and stresses on the native wildlife.